Today I had the opportunity to bring Tim Lawson back to Fire and Adjust. 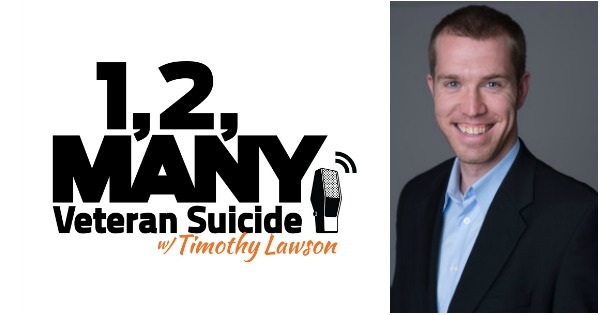 Tim was inspired to start the 1, 2, Many Project after seeing media coverage of the epidemic of veteran suicide concentrate on the statistics rather than the human beings caught inside the crisis. As a veteran and a survivor of suicidal behavior, Tim wanted to change the conversation to engage the broader community in proactive solutions. Tim shares what he’s learned through these conversations with the 1,2 Many Podcast and by speaking at conferences, conventions, and special events. Tim is our first guest to appear twice on Fire and Adjust and I am sure he will not be the last ! 30% of all Veterans have contemplated Suicide !